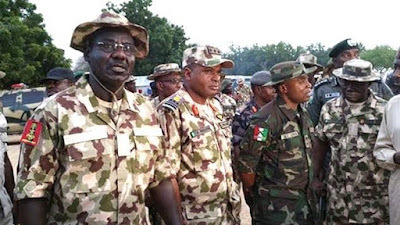 The arrest of the suspected masterminds was disclosed in a statement released by the Director of Defence Information (DDI), Brig-Gen. Rabe Abubakar yesterday night. “This is to confirm the arrest of some suspected members of Niger Delta Avengers. Investigation is currently on gGoin. Military will continue to do its best to guard strategic facilities and provide security to lives and property”.He noted that the military actions is in line with our rule of engagement, adding that the arrested suspects are behind the recent attacks at the Chevron oil facilities.